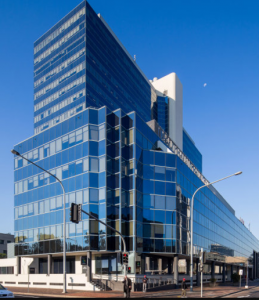 In January 2018, Buildings Alive’s peak demand service has helped the Facility management team at 2-12 Macquarie Street with reducing their demand costs. 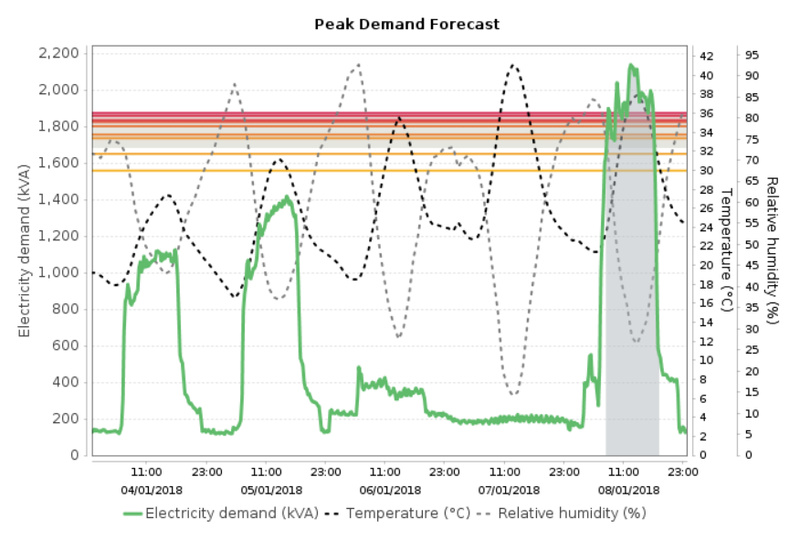 Take a look at the results below, and see how the peak demand warning messages help FM’s to effectively manage their costs on one of the most extreme days of this summer. 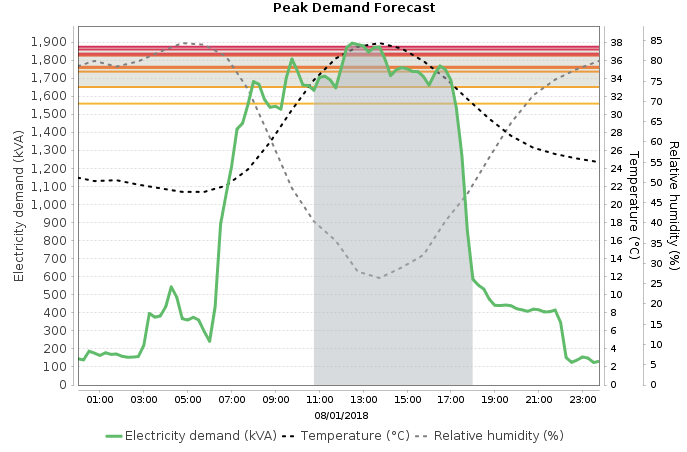 Buildings Alive’s peak demand model accurately predicts a building’s electricity demand up to five days in advance. The model has the capability to capture stored heat load effects of buildings, so that an accurate warning can be sent to FMs for the following Monday/post-holiday. 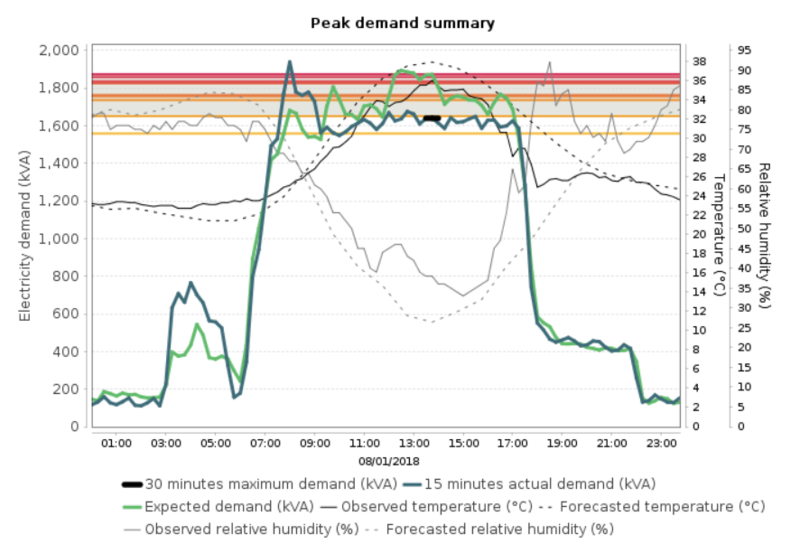 On the day that critical peak demand was expected, the Buildings Alive REF platform issued a critical peak demand warning, confirming that the event is going to occur based on the latest available weather forecast. Conduct a night purge to reduce the stored heat load after hot weekend. Start the HVAC system earlier than normal days. Raise global zone temperature setpoint by 0.5°C. Lock out one of the chillers to avoid unnecessary staging up. By implementing the above initiatives, even under extreme weather conditions, the facilities management team at 2-12 Macquarie St managed to keep energy demand approximately 232 kVA lower than the maximum demand at the same time last year. This has saved approximately $2,281 of demand charge for this month alone.